Today’s post is super sassy and fun! 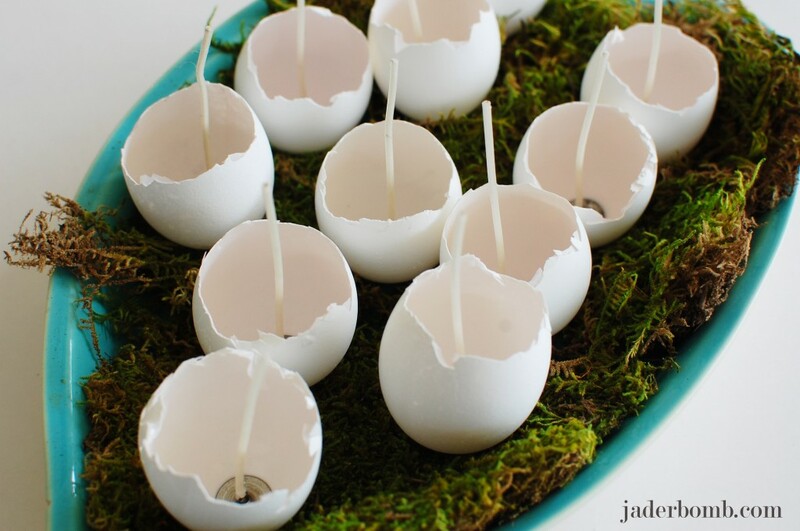 Come on, it’s EGG CANDLES. 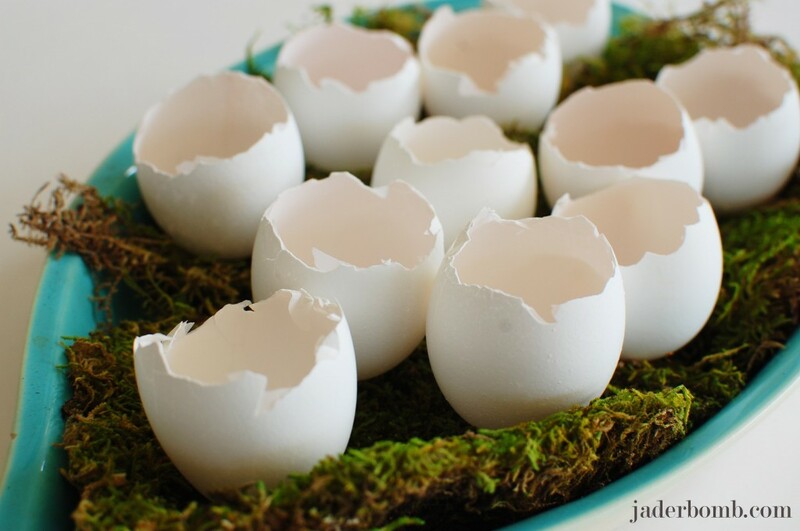 I will show you how to transform boring eggs in your fridge into a great centerpiece for your table. You can even use them individually if you choose too! Did I mention they smell DELICIOUS! I bought my blocks of wax from Wal-Mart. Completely affordable! 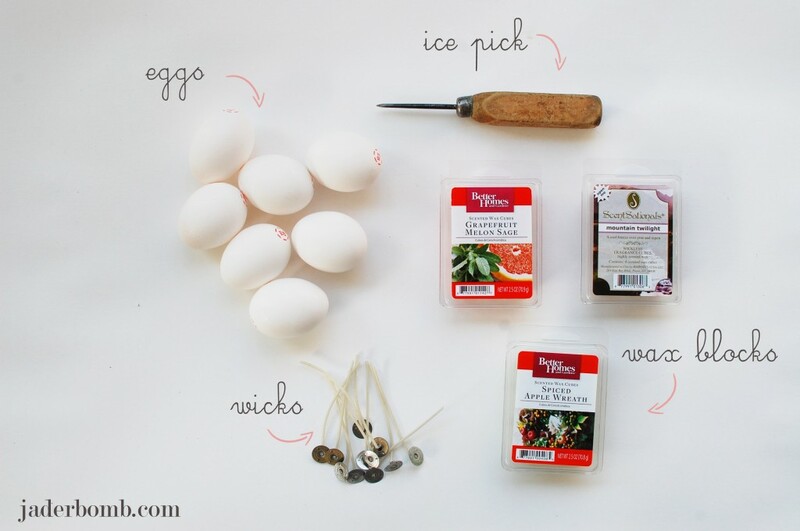 Take your ice pick and lightly crack a piece of the egg. 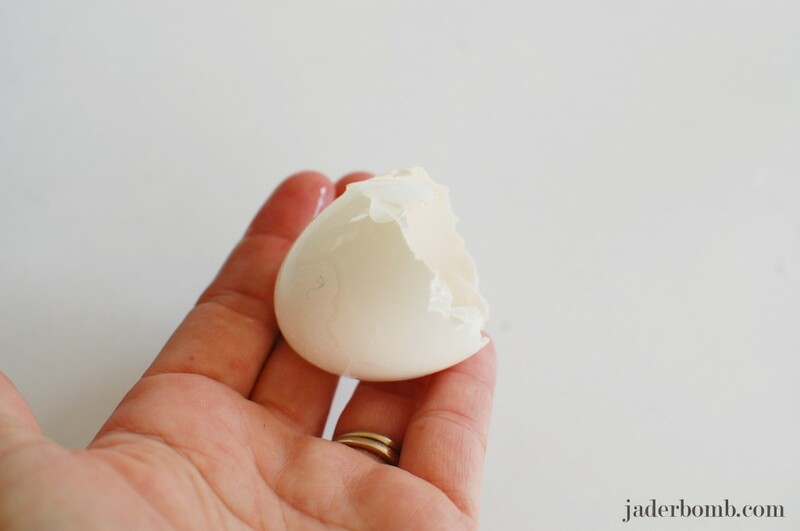 Then you can start peeling the egg to create a hole at the top. This is what they will look like when done. 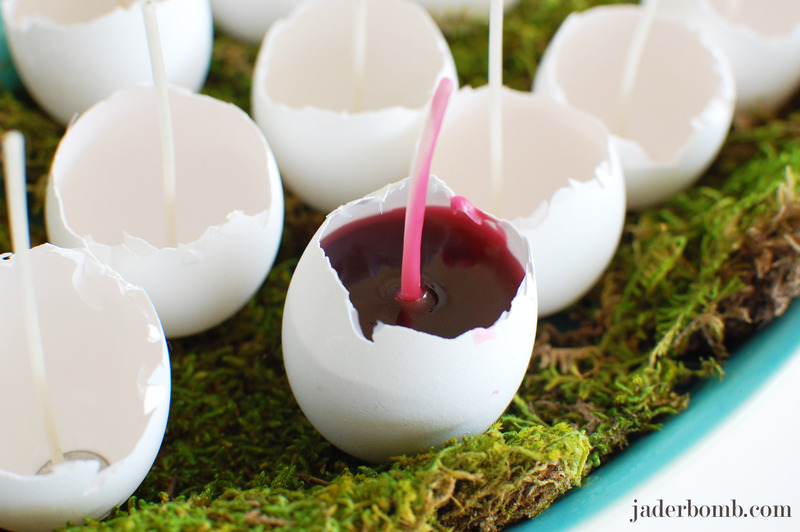 Make sure to rinse out the egg completely. 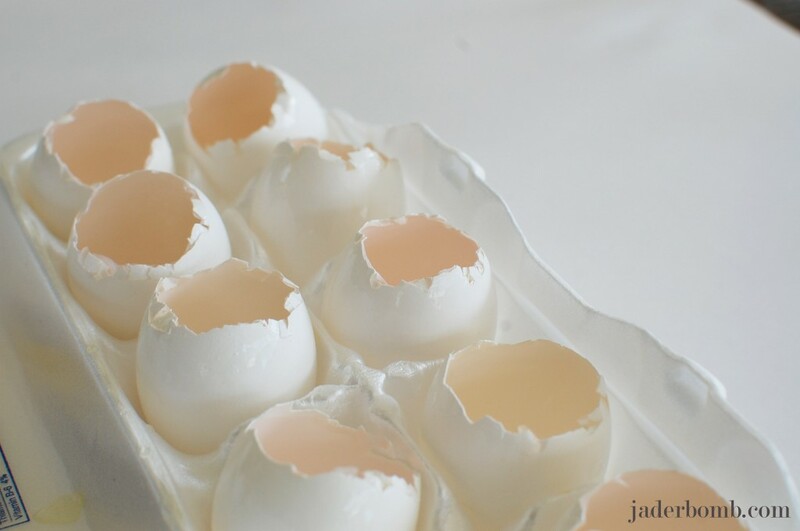 We want to get rid of any egg smell. I used my burner to melt my wax. If you have a ceramic dish you can do it in the microwave but please be careful. It can get really hot. If you decide to do it in the microwave make sure you do it for a minute, stir it then continue doing that until it is completely melted. 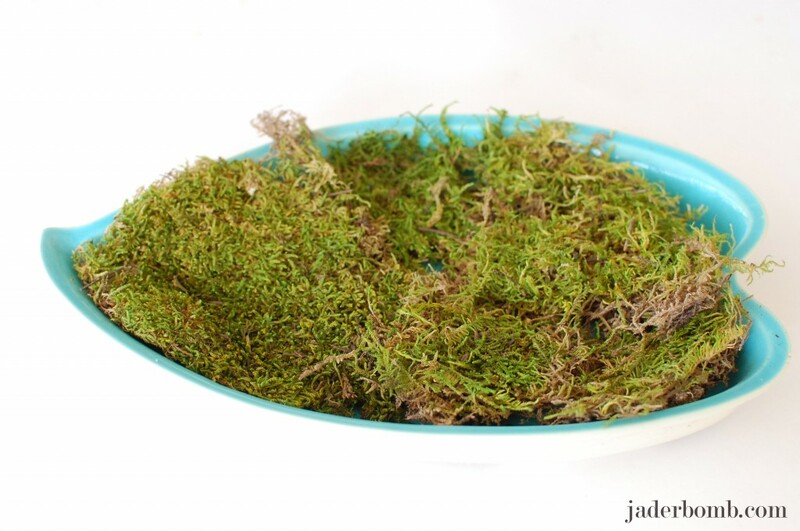 I filled a pretty antique dish with moss that I bought from Hobby Lobby. 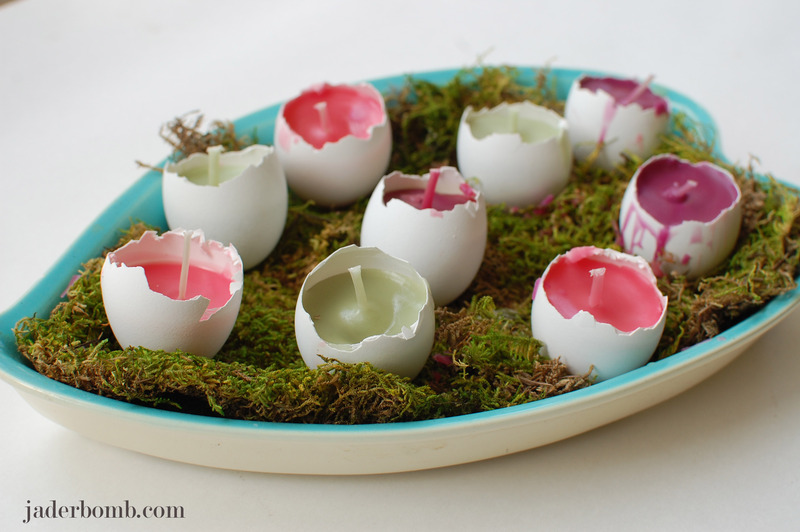 Next, lay out your eggs in the moss. 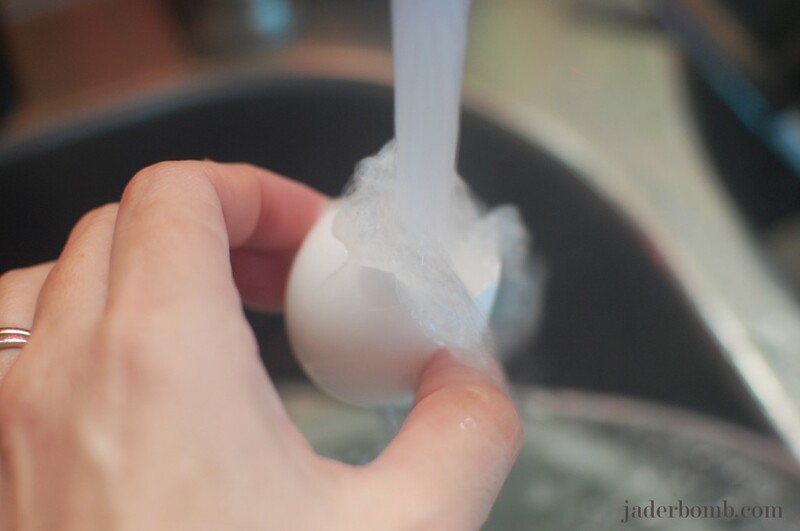 Gently place your wicks in the eggs. 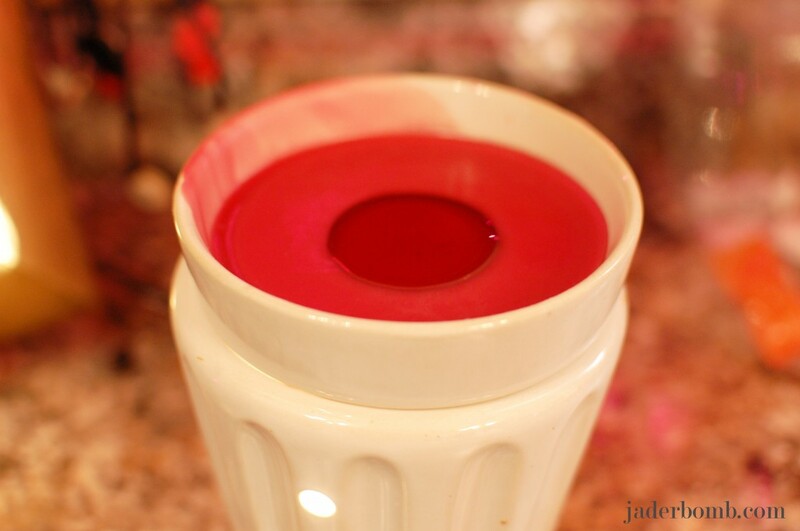 Then start pouring your wax. I used a plastic spoon, it works really good. Once you fill them all up let them sit for a few hours to harden. Trim the wick with scissors and voila! There you have it. A cute arrangement for any space. 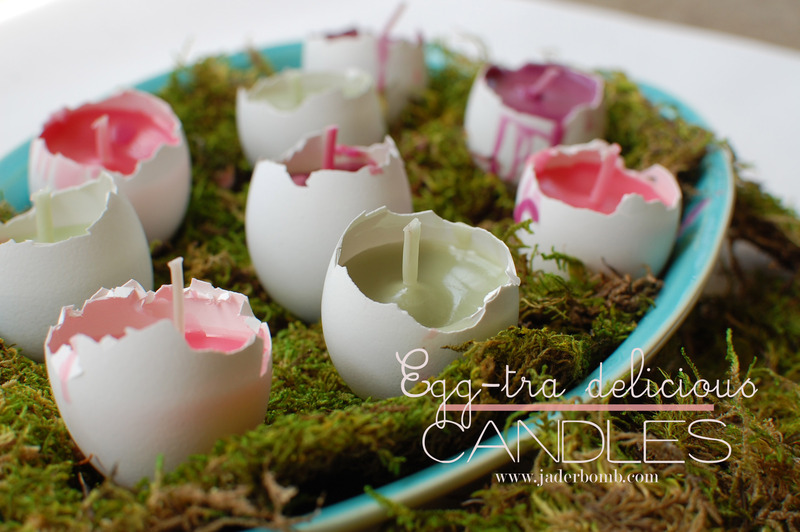 Just remember if you make them in different scents that when you light them they might not smell great mixed together. I recommend doing them in one scent if you plan on lighting multiple eggs at a time. I hope you enjoyed this post, see you in the next one Jaderbugs! *My good friend ED ROTH has a huge giveaway on his blog, check it out HERE. *Check out my latest post from the #12monthsofmartha HERE. *This is FUN news! 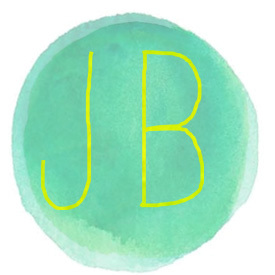 I am now a contributing editor/blogger for I LOVE TO CREATE! Check out the blog HERE. *Incase you didn’t know, I started a new site. Check it out HERE! *Some other fun exciting news, Martha Stewart pinned some of my posts to her Pinterest page!!! They are WONDERFUL Jade!! What a FUN project! !